Approximately 3.5&amp;amp;quot; by 3.5&amp;amp;quot; in size. 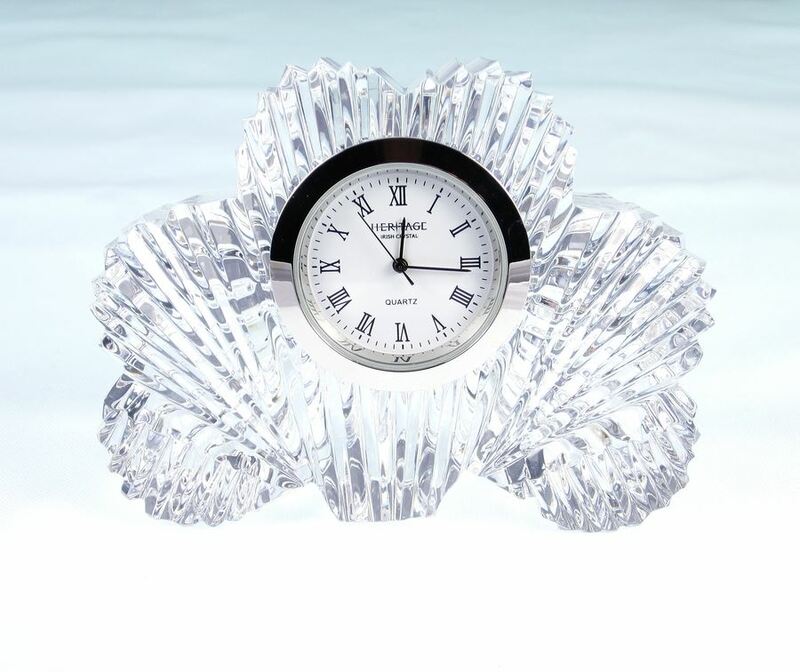 Heritage Irish Crystal are located at Bilberry in Waterford City, Ireland, where crystal manufacturing has been a way of life for over 200 years. With a highly skilled workforce, they continue training new generations to guarantee an exceptional quality crystal that can only be achieved from the skill of man. The products are all over 30% full lead crystal and are characterised by their heavy weight, deep cutting and exquisite, diamond-like sparkle. They pride themselves on having excelled in the age old art of mouth blowing and hand cutting.